Do you fall among the rare group of people who are great at capturing the various shades of life with the help of a lens? Are you the person most people come to for clicking great pictures of themselves at parties and other occasions? 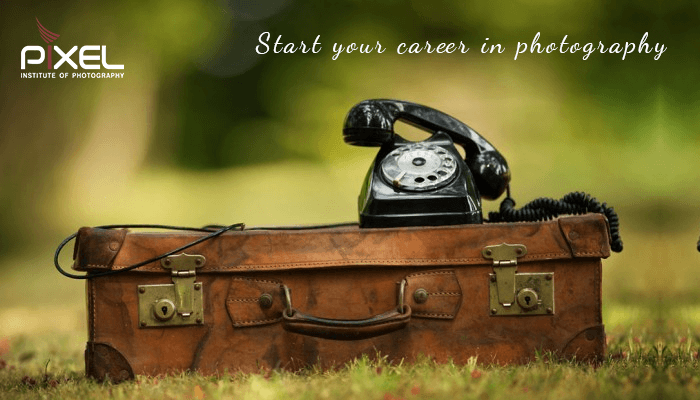 If yes, then you should consider your option of starting your career in photography. As photography is your hobby and passion, if you start a career in photography, you will enjoy your work and it feel a lot less like a job. But if you want a career in photography, you need to have proper business and technical knowledge as well as a creative eye. The basic trait that a professional photographer is required to have is a creative eye and visual imagination. But, your creative side would be complemented if you get a technical background too. There are various certificate and diploma courses which you can pursue to get that technical specialisation. These special courses can be pursued alongside your regular college classes or the other part-time courses. For better qualification you can even apply to the Delhi institute of photography. If you have a background in computers then gaining that technical expertise would be a lot easier. These types of skills will allow you to get the right kind of pictures which is exactly what your client would need. These skills include the knowledge of the technical details of your equipment, digital imaging skills and the camera and lighting skills. In the beginning it would be better if you work with an already established photographer to get that on the job training from him. This will help you a lot to get ideas on the different types of problems a photographer has to face on the field and also how to deal with them. You will also learn how to handle your clients and the business acumen. These workshops are also great for a hands-on experience. You can even showcase you work on online platforms. By getting direct feedbacks from the regular visitors of your album you can enhance your skills in a positive direction. Doing freelance work also helps. It builds up your confidence so that you can approach the other photographers or organisations that might end up offering you full time work in the future. Taking photography courses in Delhi ncr will give a jump start to your career. Initially it would be a little bit hard to make a living out of photography, but you have got those creative skills and you are willing to put in that extra hard work plus you are equipped with good business skills, then photography might turn out to a much rewarding profession for you. Being an assistant of a senior photographer might pay you around Rs 3000 to Rs 6500. While working as a professional photographer might fetch you around Rs 25000 to Rs 40000 a month. If you are better at fashion photography, then your income might get a larger hike. Self-employment can help you earn from Rs 10000 to Rs 50000, which will depend on the kind of assignments you get on a daily basis.